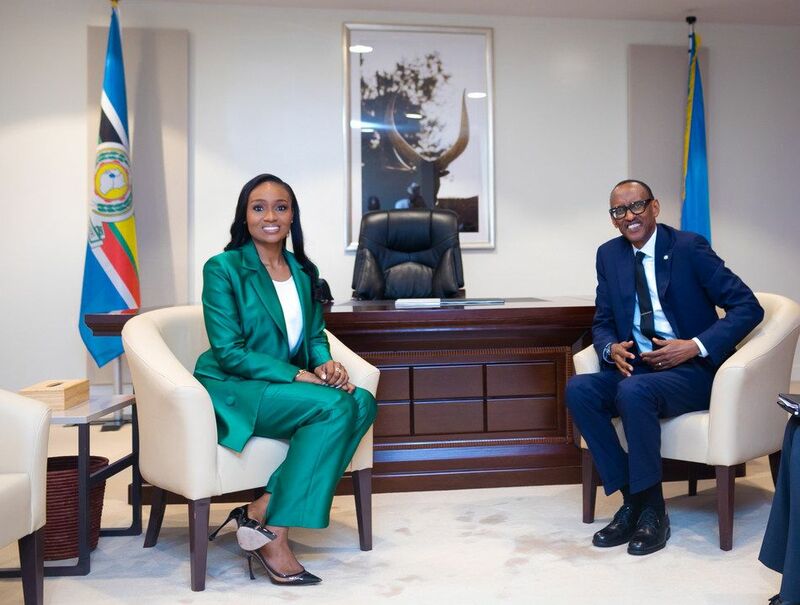 Paul Kagame, Rwandan President and Bella Disu, Executive Vice Chairman, Globacom of Nigeria say that the use of digital technology can drive Africa’s economic prosperity. This came out of a private meeting held between the two after the opening session of the Africa CEO Forum held this week in Kigali, Rwanda. Globacom, the Nigerian second national carrier is offering to use its massive infrastructure, including the Glo 1 international submarine cable, to drive digitalization on the continent, the company’s EVC told the Rwandan leader. According to Disu, the Glo 1 armoured submarine cable and digital solutions such as mobile money, artificial intelligence, e-Health, Smart Cognitive Learning and Smart Energy, could help Africa achieve a digitalized economy. “I commend President Kagame for his exemplary leadership and for the tremendous success Rwanda has achieved under him. Like President Kagame, I have no doubt that greater integration will lead to continental growth and a more prosperous Africa. Globacom is committed to Africa’s economic renaissance,” she says. “My charge to women is to keep climbing the career ladder. Climb it anxious. Climb it confidently. But just keep climbing. And when you get to the top, because you will – give a helping hand to the women coming behind you – this is how we grow,” the Globacom EVC adds.